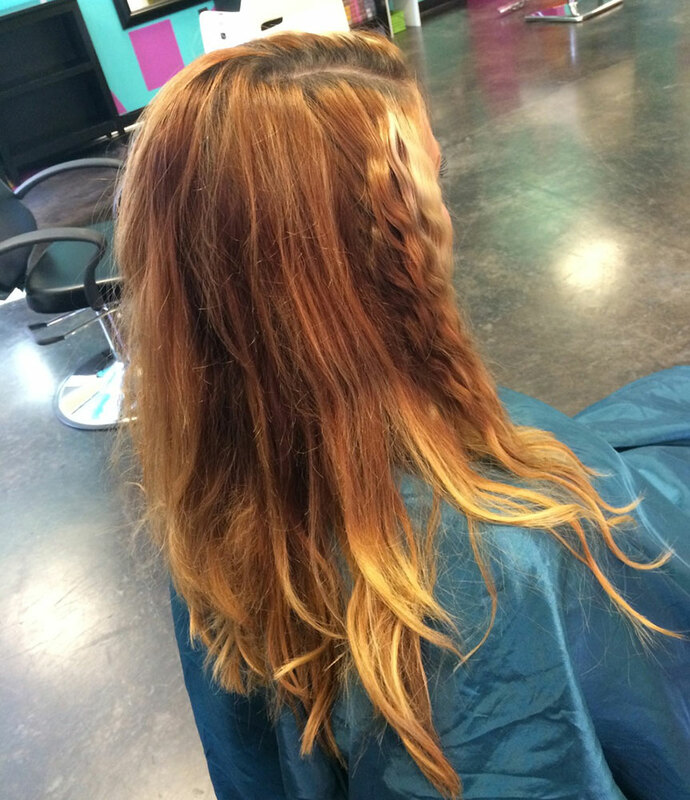 Submitted by hair colorist Shonda Broadus (@shondabroadus) at Color Me RAD Salon in Beaufort, South Carolina, this client needed a serious color correction! According to Broadus, her client below usually requests either copper browns or copper blondes paired with highlights. However, during her most recently visit, she wanted to transform her hair into a healthy-looking ombre. STEP 1: Broadus used Schwarzkopf Igora Vivance 5-68 mixed with 5-0 on the new growth. After processing for 10 minutes, she then applied more Schwarzkopf Igora Viviance 5-68 with a pinch of 5-0 to the midshaft. STEP 3: Broadus set her timer, and processed the hair for 30 minutes. After processing, she shampooed the hair, gave her client a haircut and finished up with a blowout using Moroccanoil Hydrating Styling Cream.